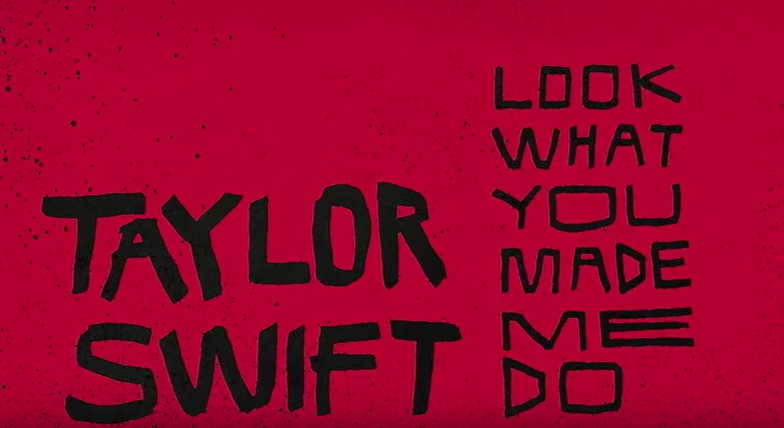 Taylor Swift, at long last, has finally graced us with some new music. I'll admit – I dig a fair amount of T-Swizzy's stuff. "We Are Never Ever Getting Back Together" is wonderfully catchy and has a delightful music video, to boot. "Style" is so simple, yet such an earworm. This newest single, though, I'm not so sure about. 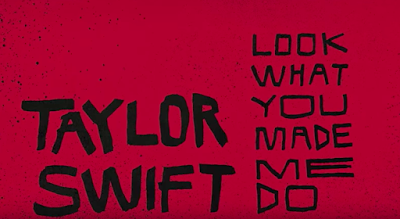 "Look What You Made Me Do" takes shots at...well, just about everyone, though it does it in a pretty vague way. Kanye West is probably the most obvious target, though Katy Perry has had her squabbles with Swift, too. But the media, paparazzi, crazy fans – they all play a part here. Swift has certainly used this narrative before. Many songs have an "I'm innocent, and I've been so, so, wronged" theme. In this case, rather than simply taking the abuse or having a goofy reply, Swift is doubling down and FIGHTING BACK. "The old Taylor can't come to the phone right now. Why? BECAUSE SHE'S DEAD." Damn. There's even another reference to having a list with someone's name on it. The problem here is that the song itself isn't very good. The staccato delivery of lines in the verse is pretty annoying, and the whole song kind of has a "Meaghan Trainor meets Lorde on a really off-day" vibe to it. Of course, like many Swift songs, this could potentially grow on us, like some sort of parasite. But for now, I'd like to make a plea to Swift, Perry, Trainor, and any other pop star that's trying to be "hard" – stop with this fake rap/talking stuff and leave it to the people who are good at it. Show us you can actually sing, instead.